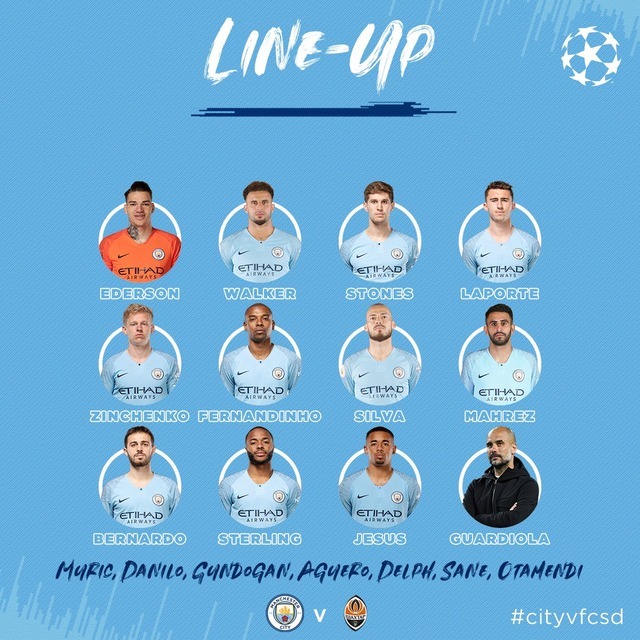 Ederson; Walker, Stones, Laporte, Zinchenko; Fernandinho, Silva(C), Mahrez, Bernardo, Sterling; Jesus. Subs: Muric, Danilo, Gundogan, Aguero, Delph, Sane, Otamendi. 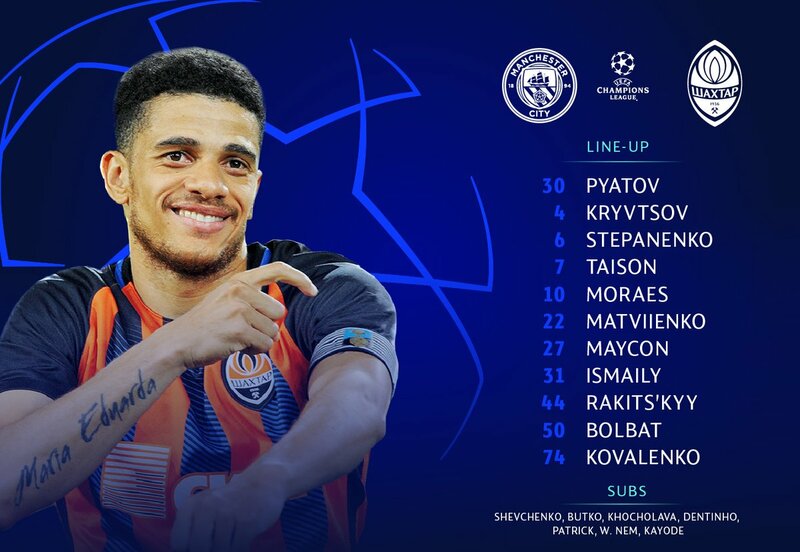 Pyatov; Matviyenko, Kryvtsov, Rakits'kyy, Ismaily; Stepanenko, Maycon, Taison(C), Kovalenko, Bolbat; Junior Moraes. 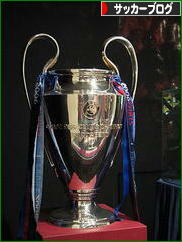 SUBS: Shevchenko, Butko, Khocholava, Kayode, Dentinho, Patrick, Wellington Nem. Sterling makes it 3-0 with a fantastic solo goal. 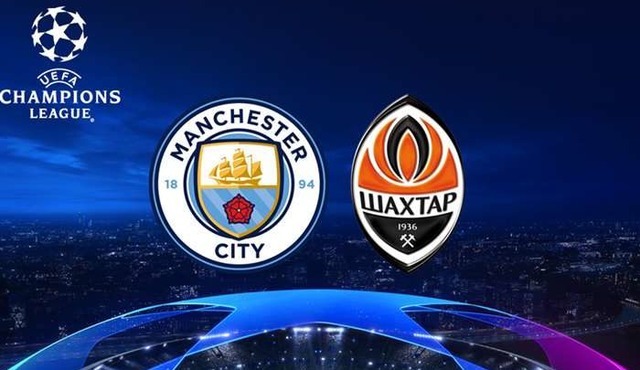 He receives the ball from Zinchenko in central midfield and uses his pace to evade the Shakhtar players before curling a shot into the top corner.